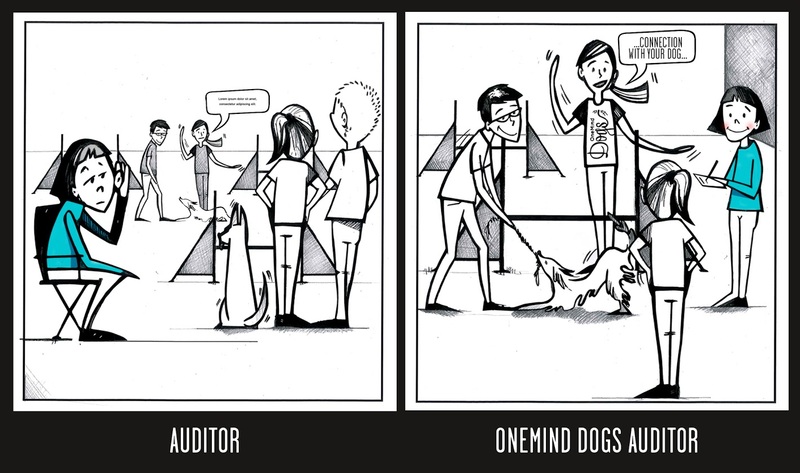 Think it’s not worth your time to attend a OneMind Dogs seminar as an auditor? Think again. We rewrote the rules for auditing. Auditing an agility seminar is a waste of your time, right? You’re not allowed to ask questions and can barely hear what the coaches are saying on the field. Well, not quite. At OneMind Dogs, we understand that watching dogs run around on the field without being able to participate the training might not help you reach your goals. 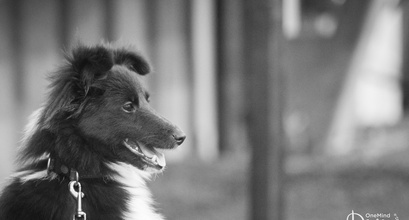 Our popular working spots fill up quickly, but we would still like to help more people to understand our unique training method that’s based on the dog’s point of view. Solution: we rewrote the rules for auditing. We’re introducing an entirely new way to attend our agility seminars as an auditor. And it’s fundamentally different from your regular auditing spot. As auditor at a OneMind Dogs seminar, you can follow the Coach’s introduction of the course and participate in the walk through. You can also follow the Coach on the field and listen to the individual feedback they give, up close and personal without having to guess what they’re saying. At many seminars, you’re not able to ask the Coach questions if you participate as an auditor. This is not the case with OneMind Dogs. In our seminars, you’re welcome to ask questions related to the training. Everyone who participates in a OneMind Dogs seminar, including auditors, can get an access to an extensive portfolio of support materials that will help you to understand our method both before and after the seminar. They’re all available on www.oneminddogs.com and your host will provide you with the details. When you don’t have to worry about your own dog, you can dedicate all your attention to the dog and handler teams on field. You’ll see where the dogs are looking and how the changes suggested by the coach affect the dog’s run and behavior. Another bonus: While our seminar slots are limited, the auditor slots are unlimited. As an auditor you’ll get the most out of our seminar when it comes to deeply understanding the dog’s point of view. If that’s not worth your time, we don’t know what is! I'd love to get connected with my pup! Congratulations Bronagh! You were the first one to leave the right comment and are the winner of Easter Egg #2 gift card! :) Please send us an email to support@oneminddogs.com.